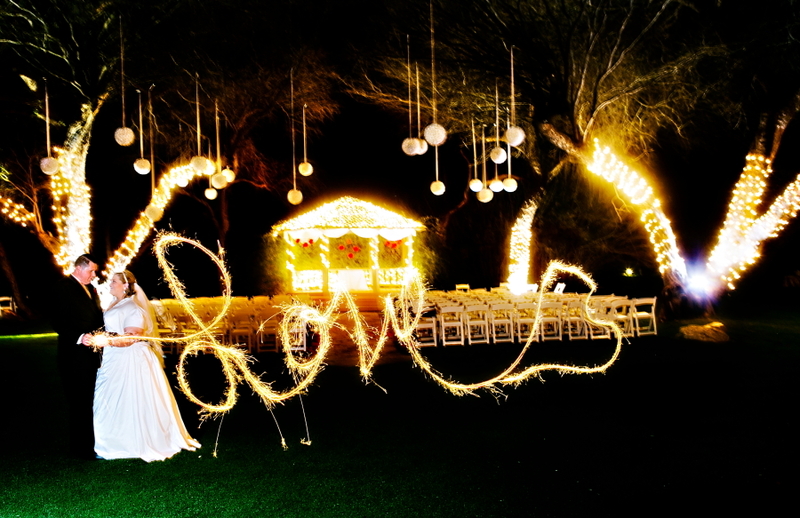 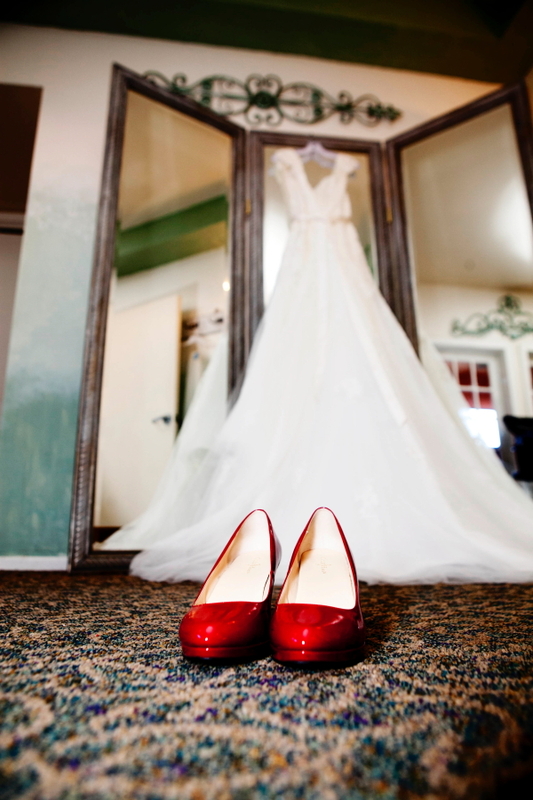 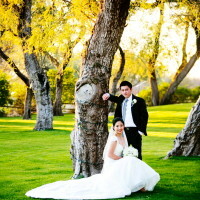 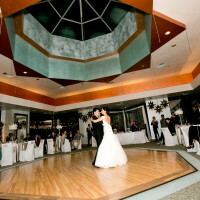 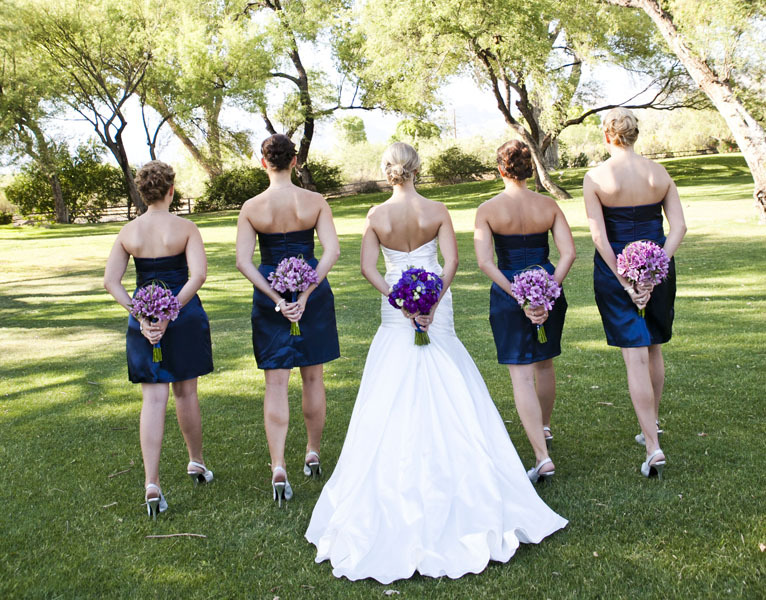 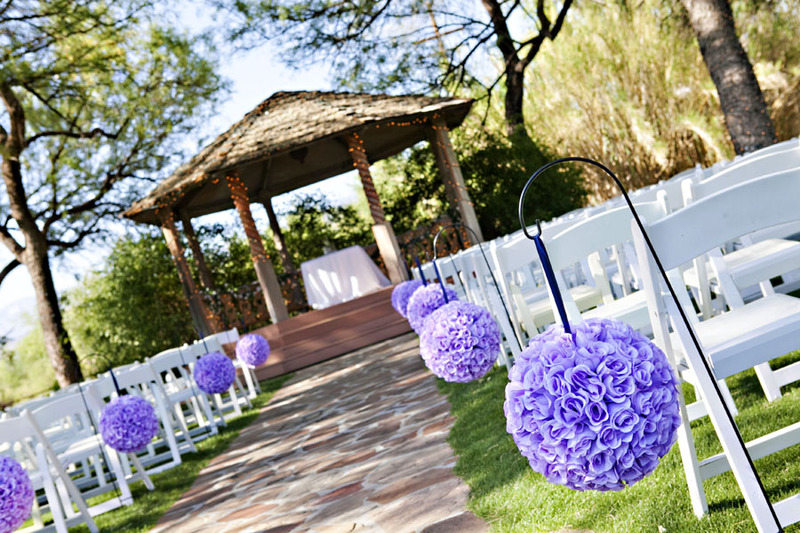 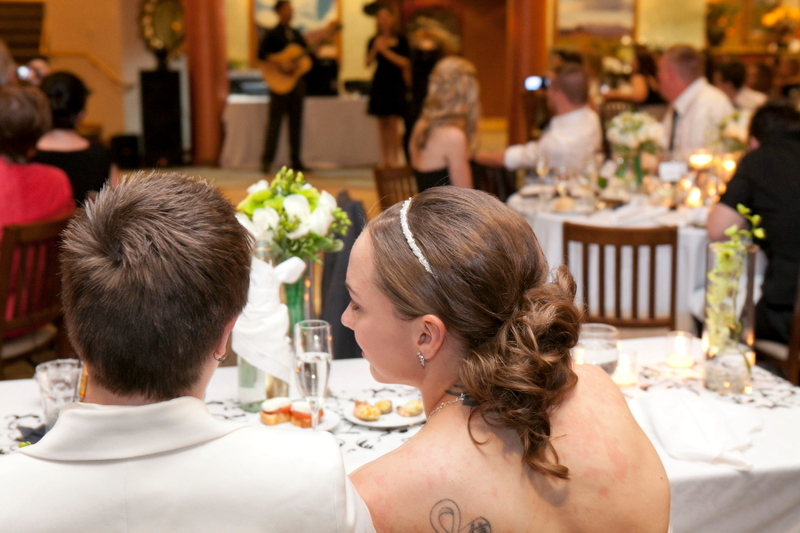 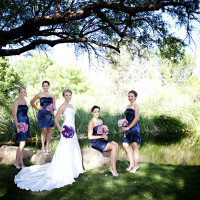 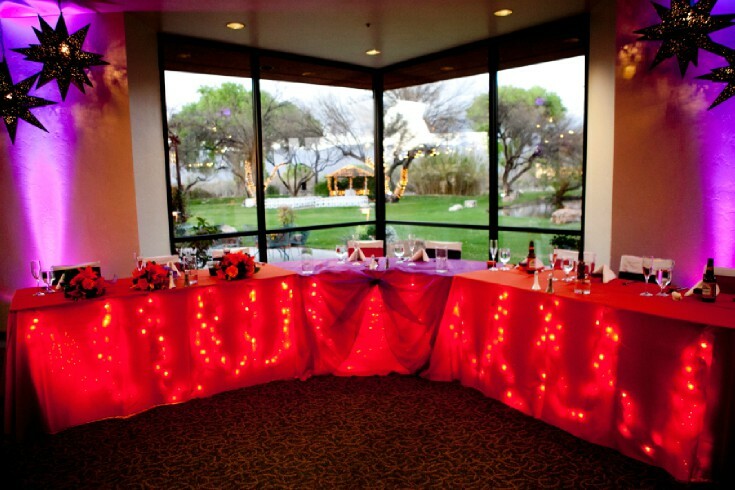 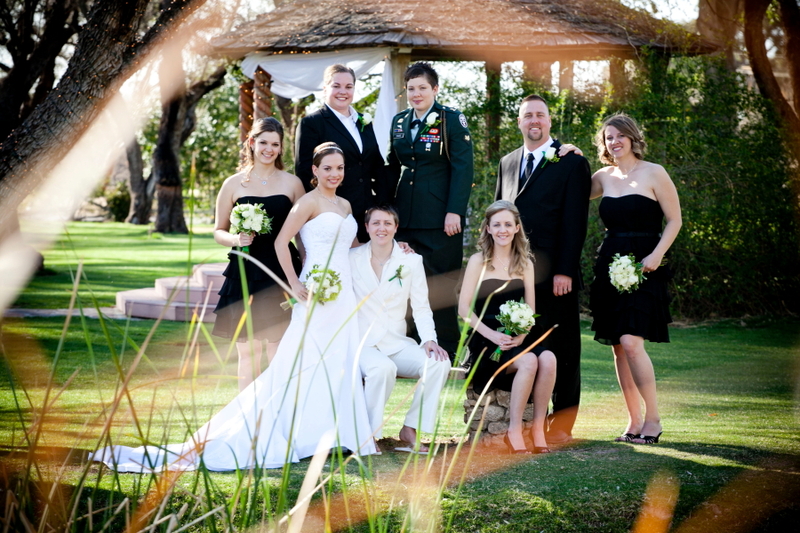 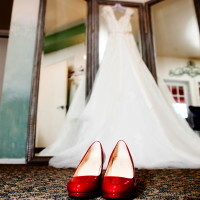 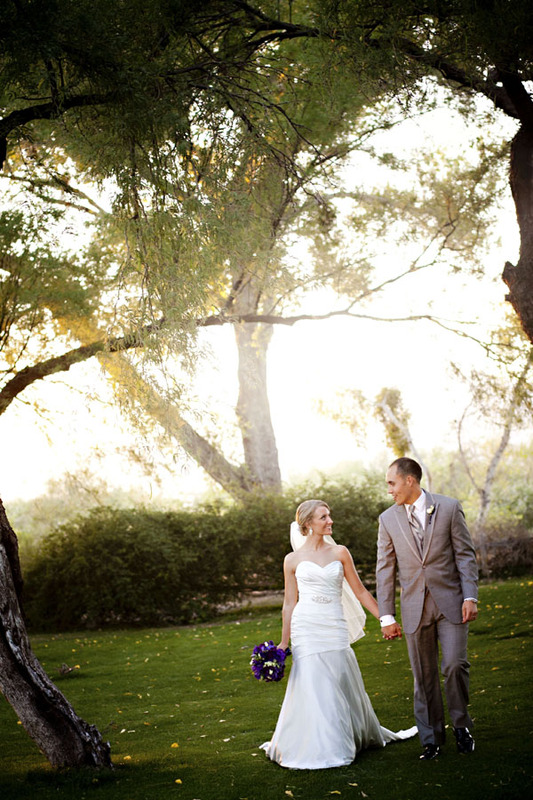 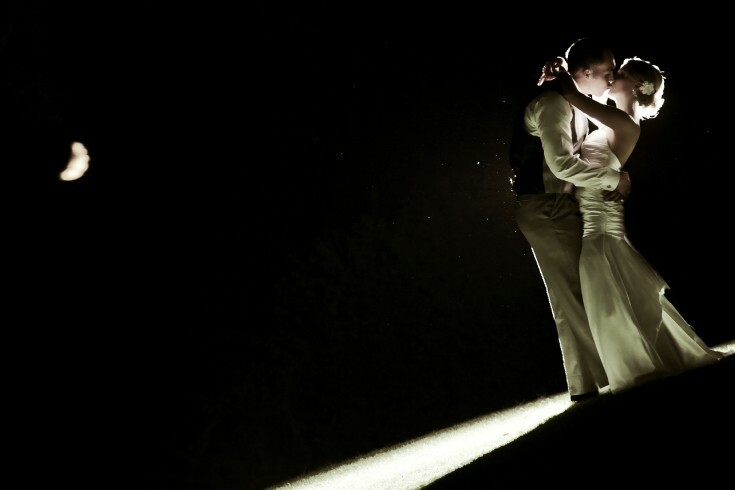 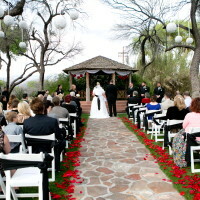 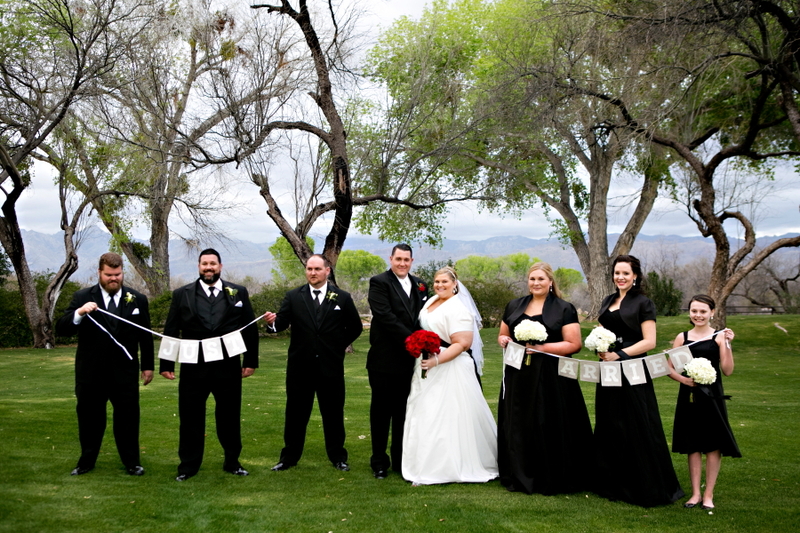 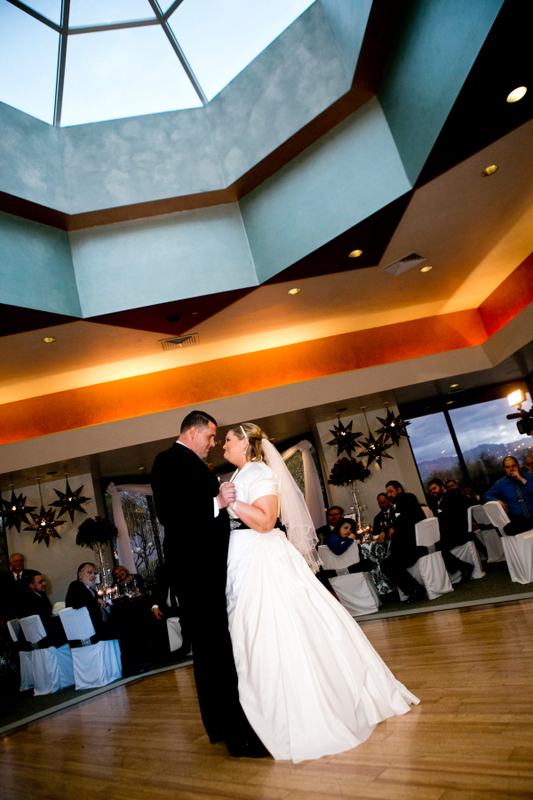 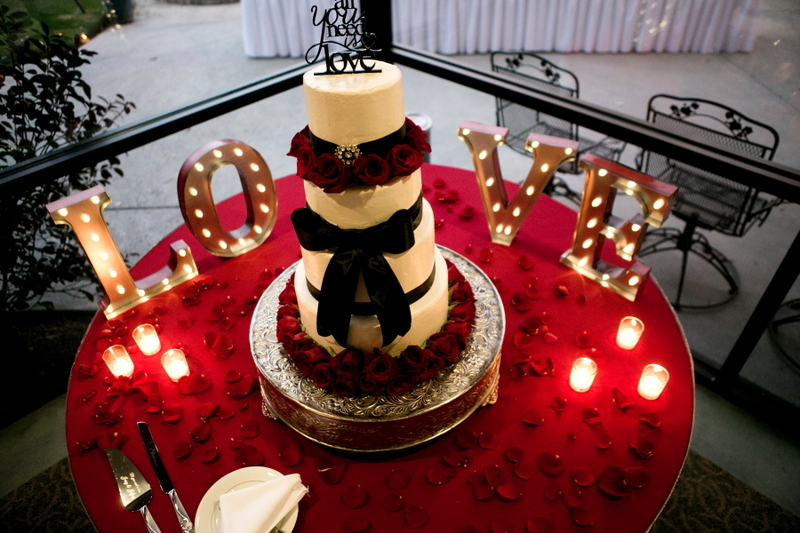 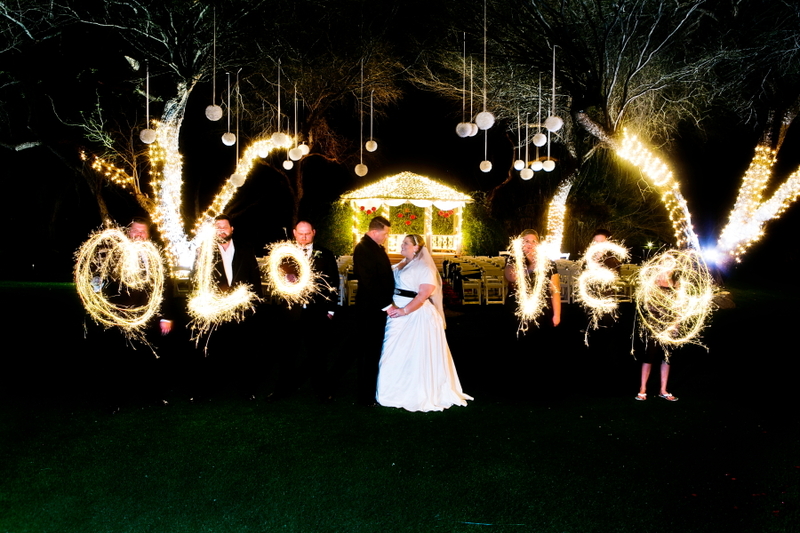 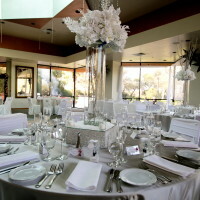 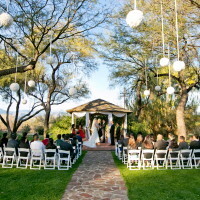 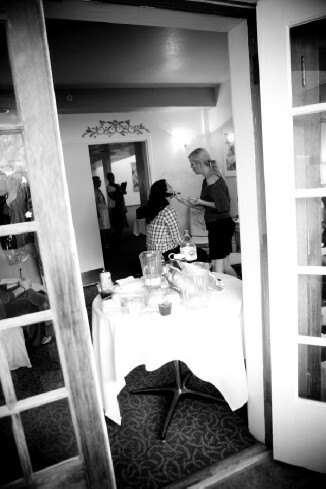 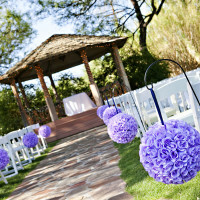 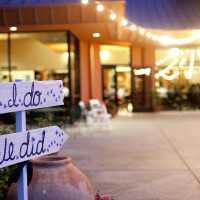 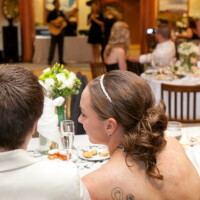 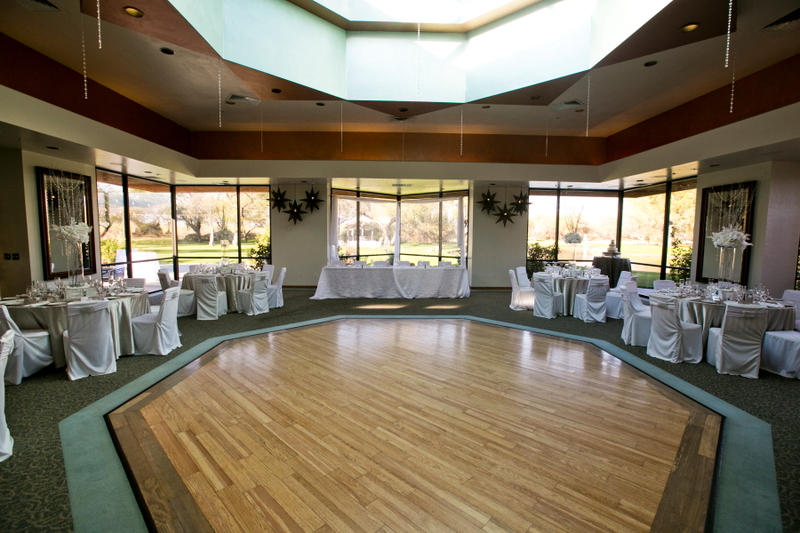 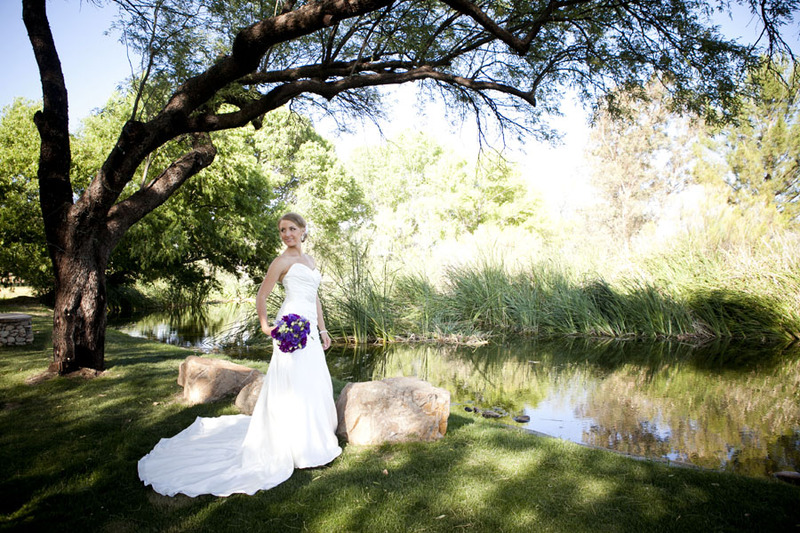 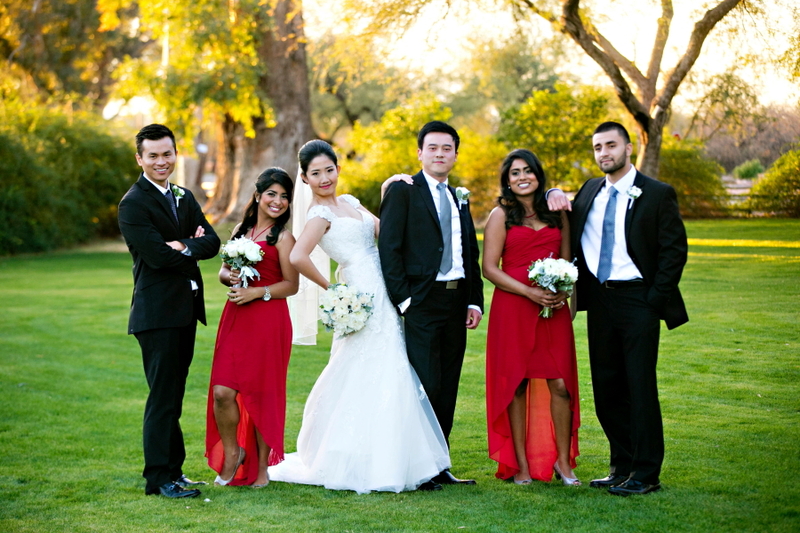 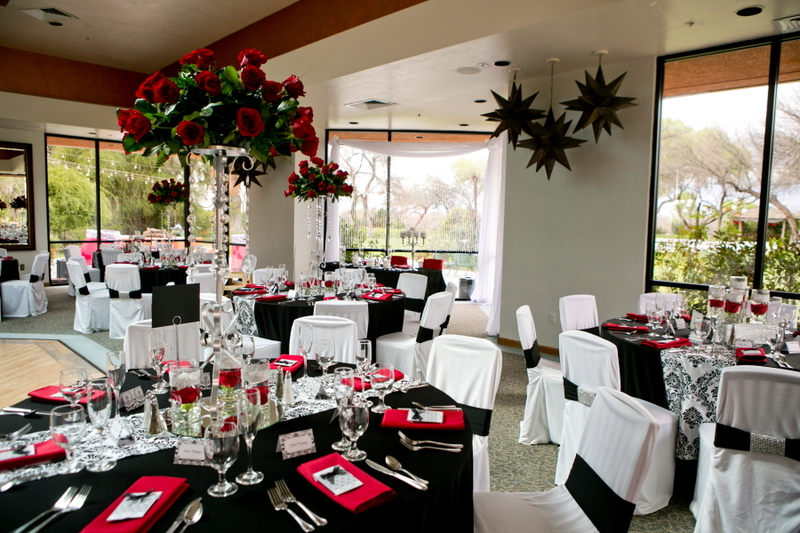 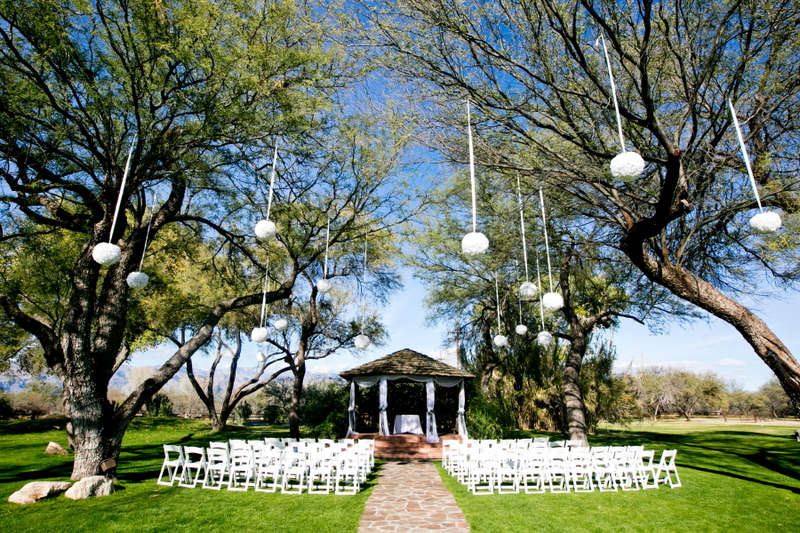 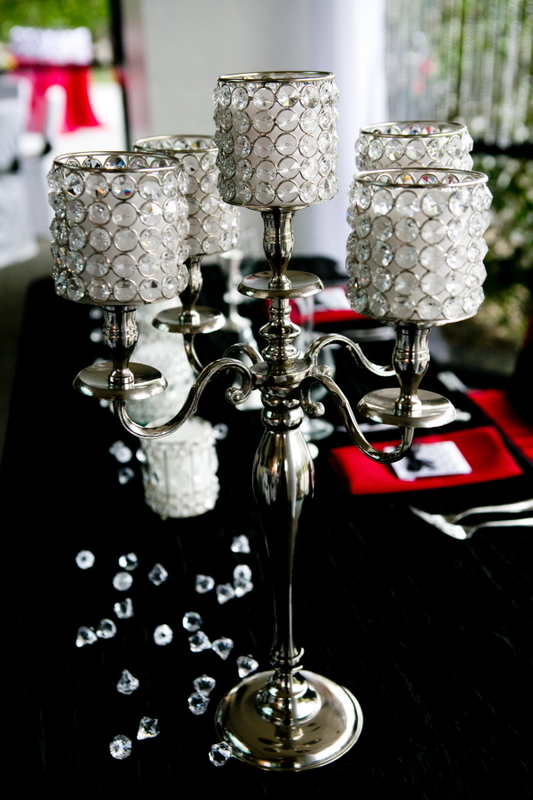 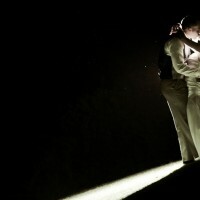 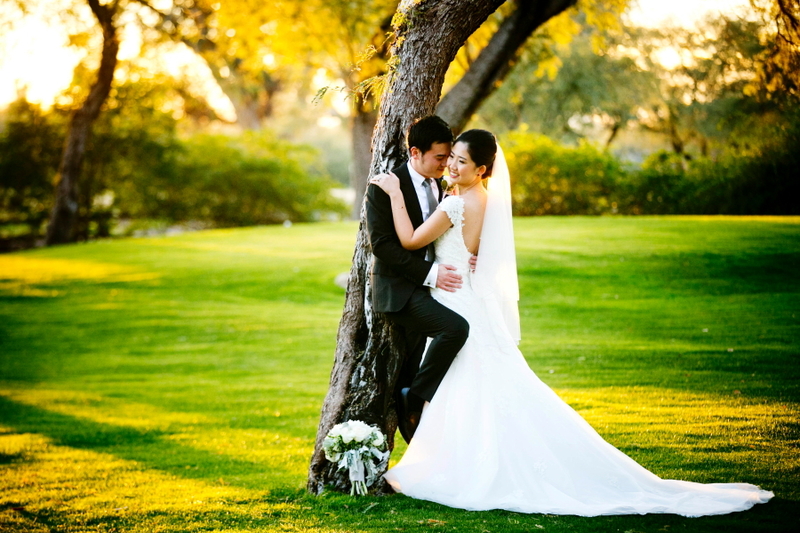 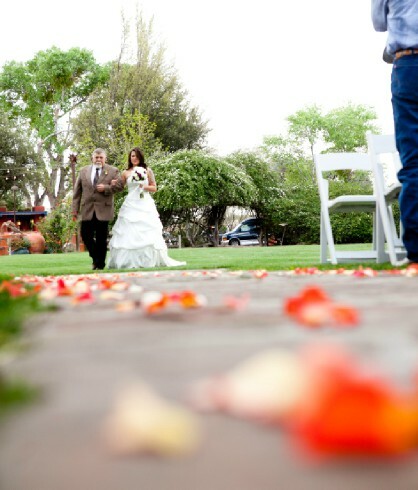 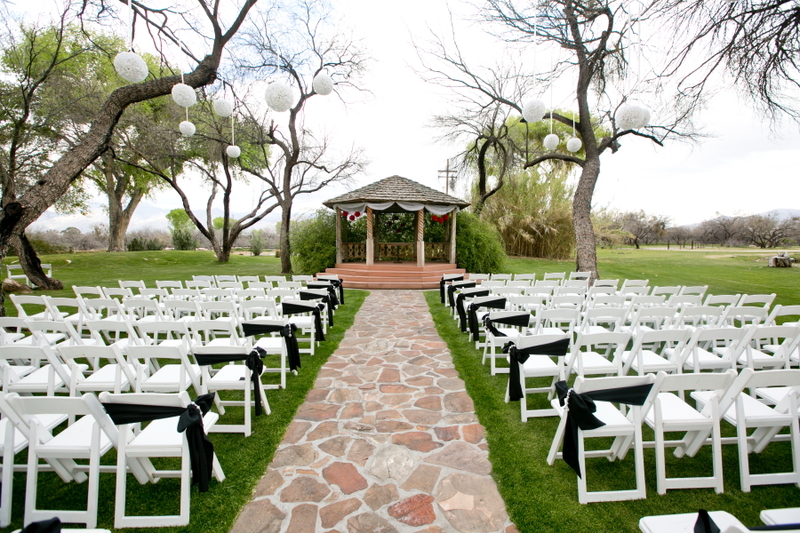 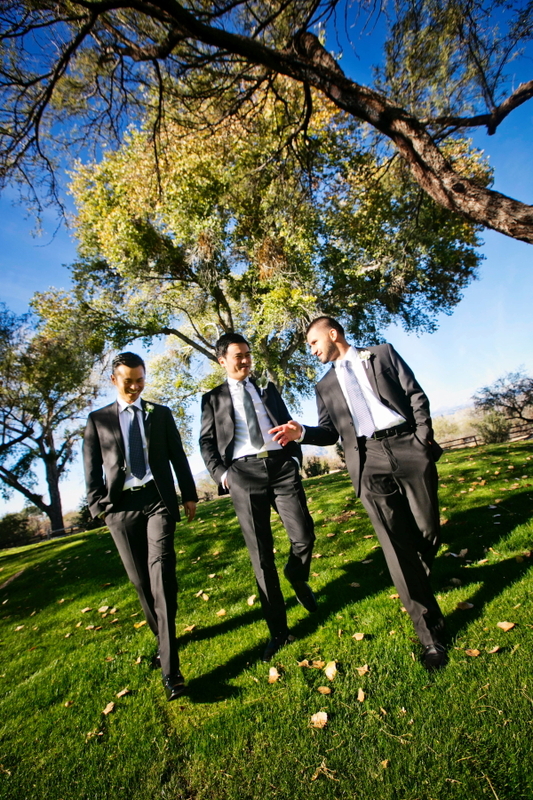 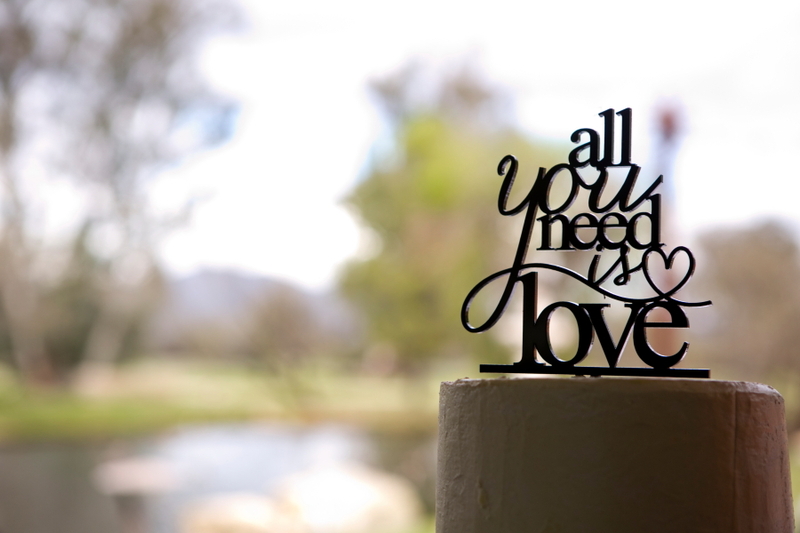 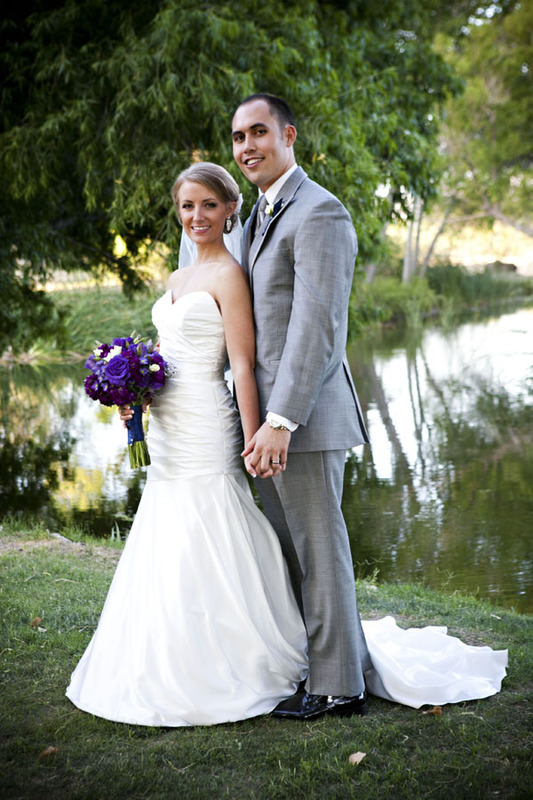 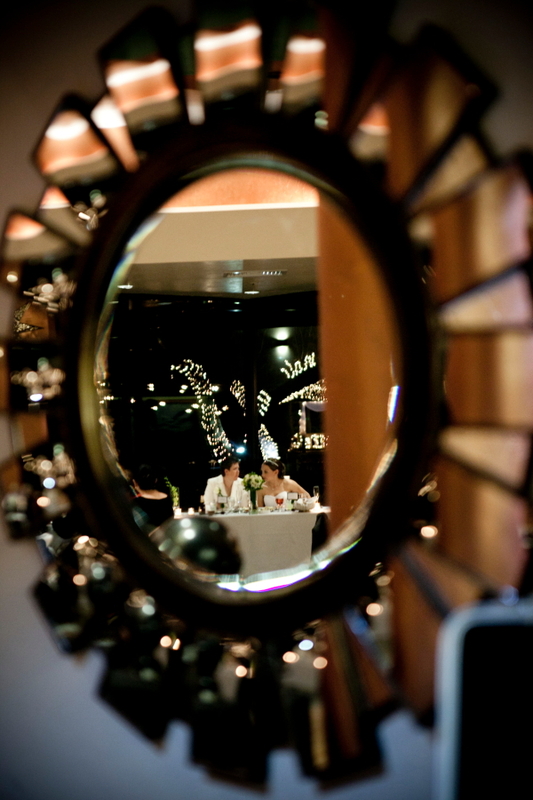 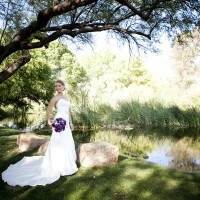 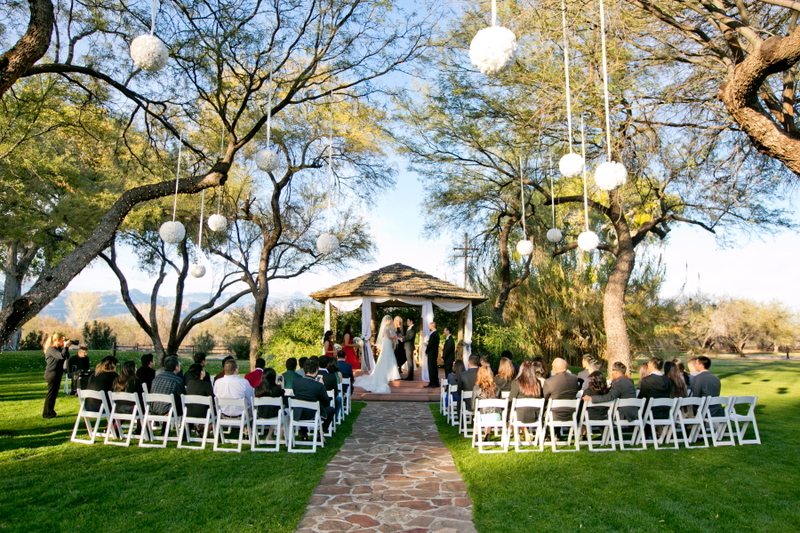 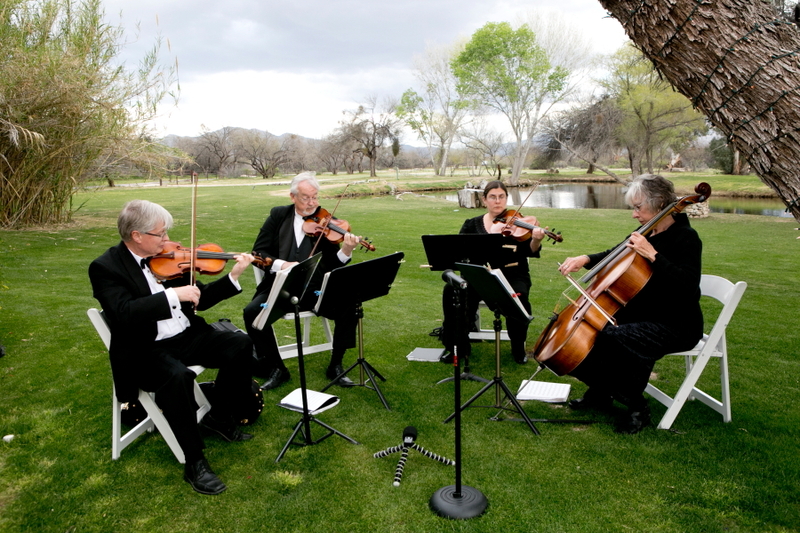 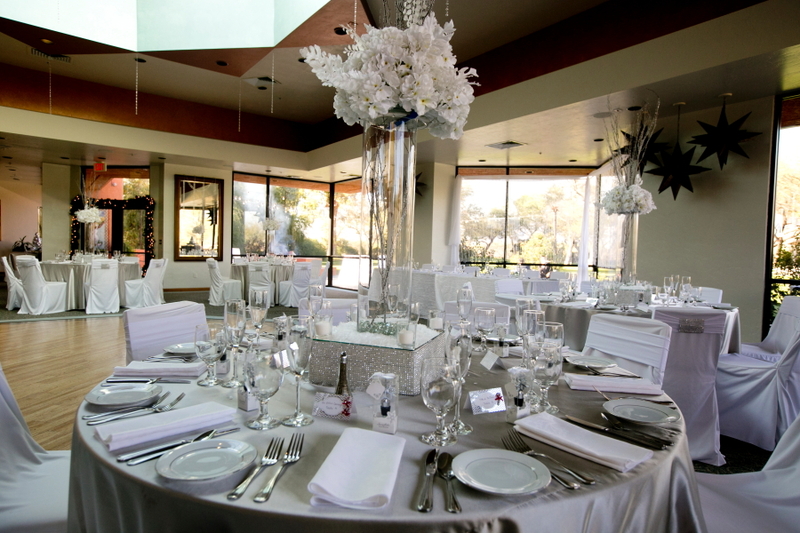 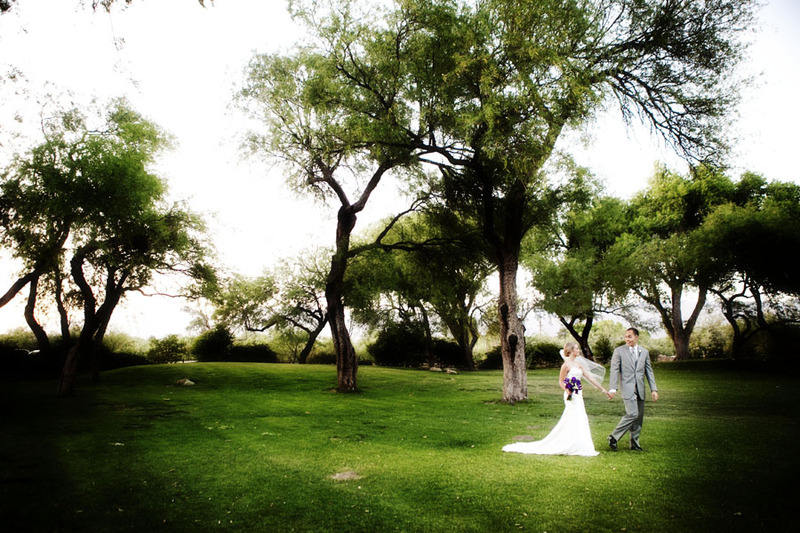 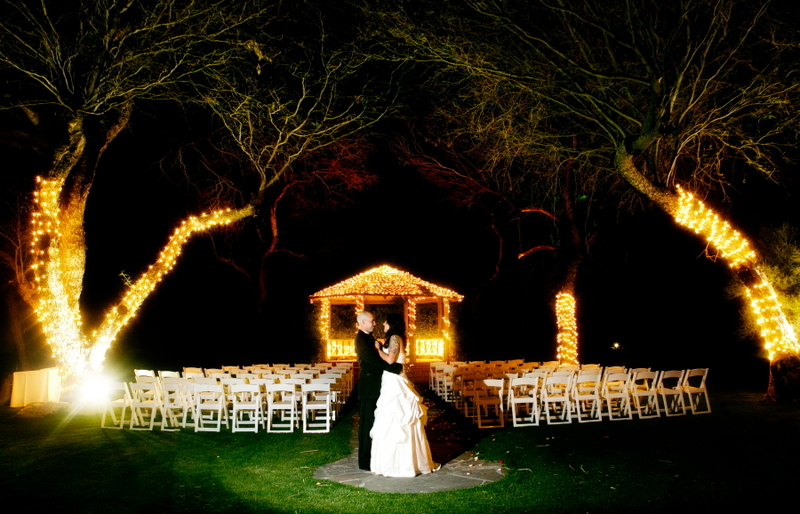 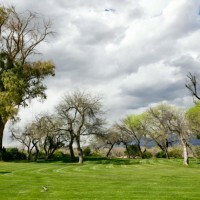 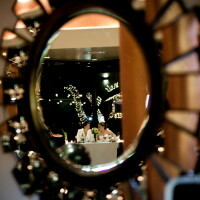 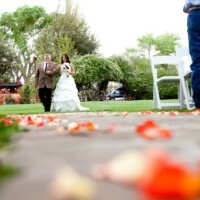 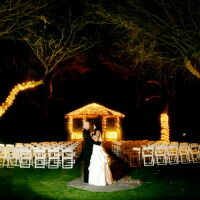 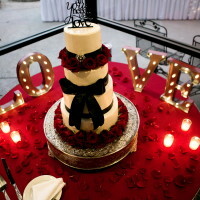 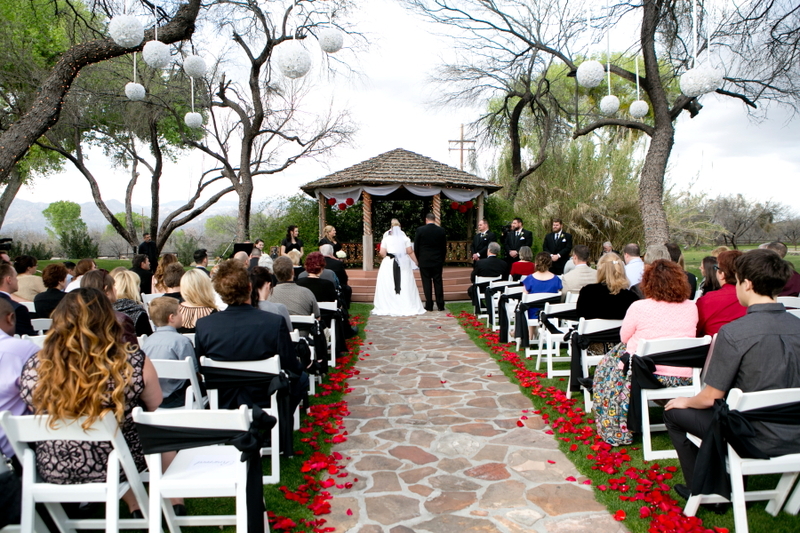 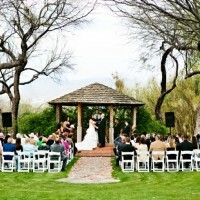 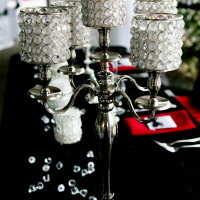 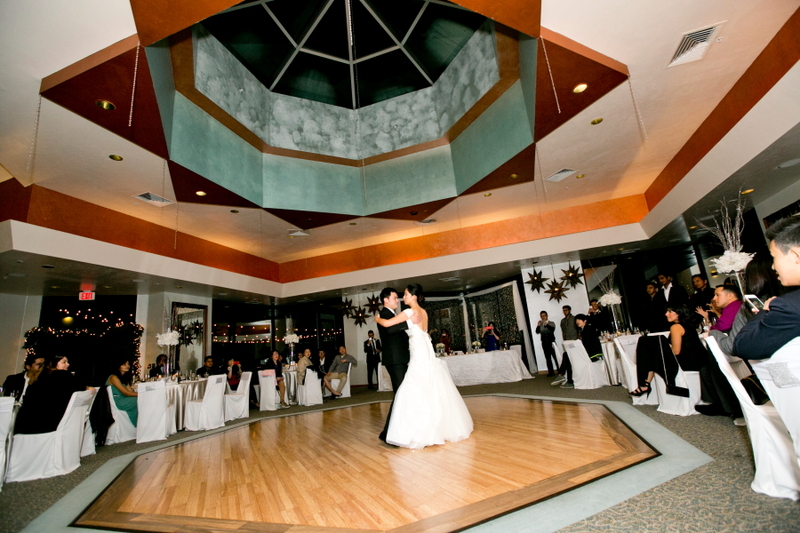 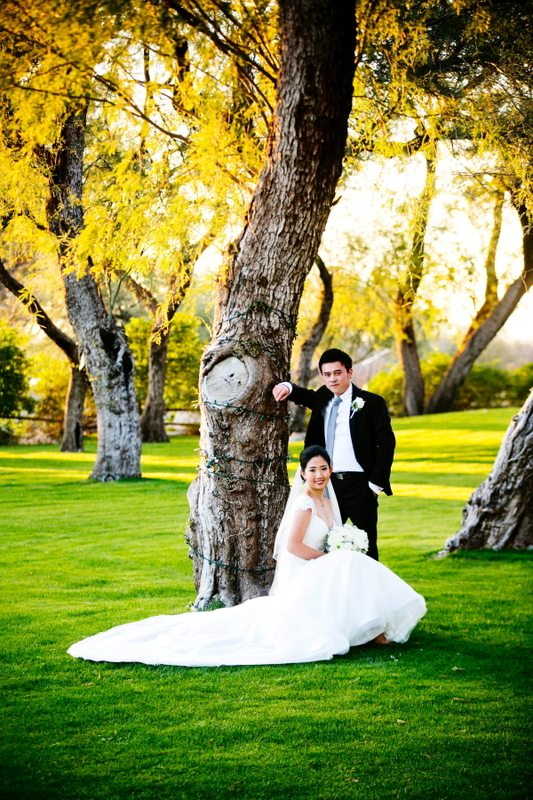 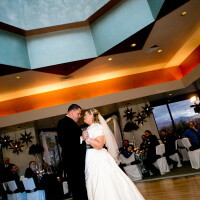 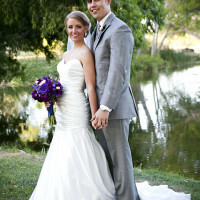 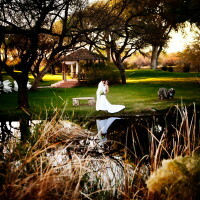 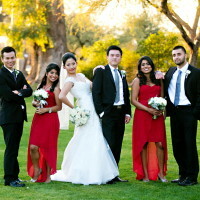 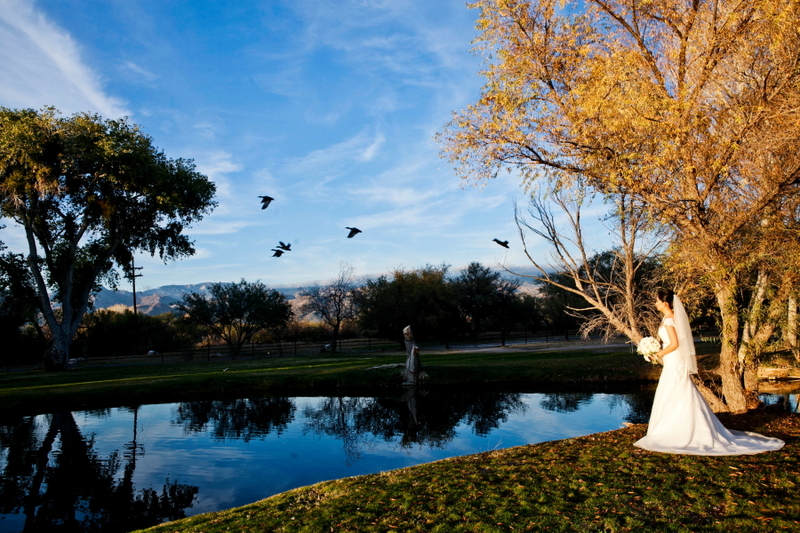 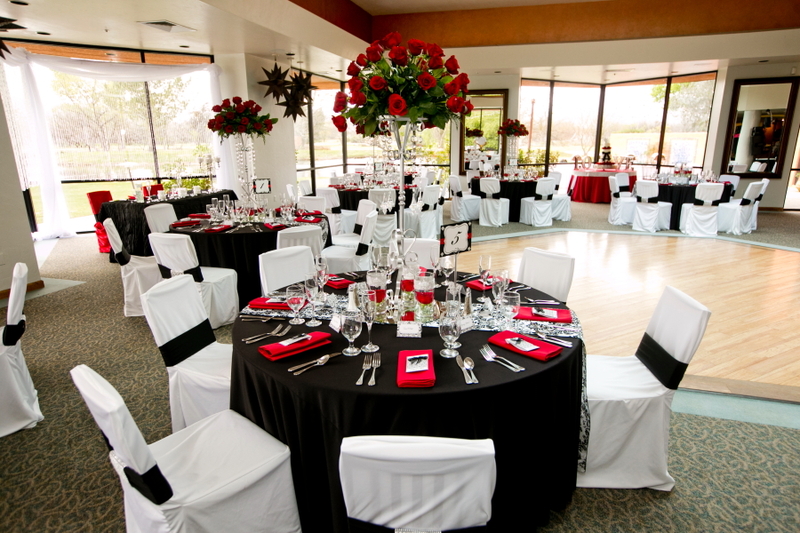 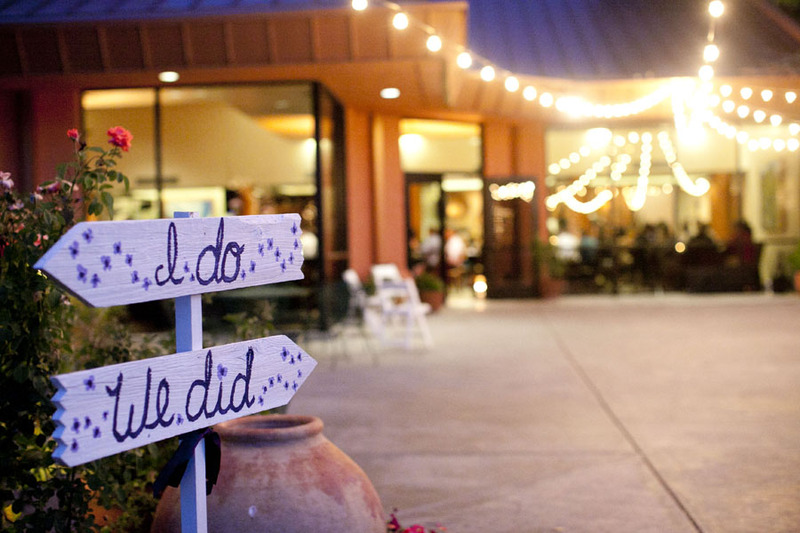 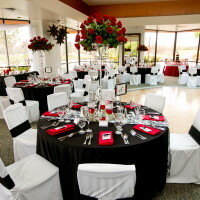 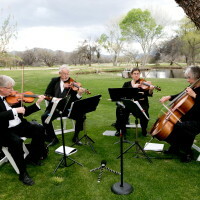 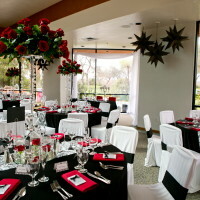 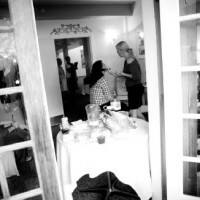 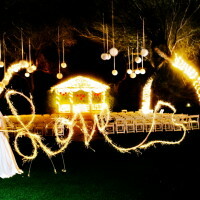 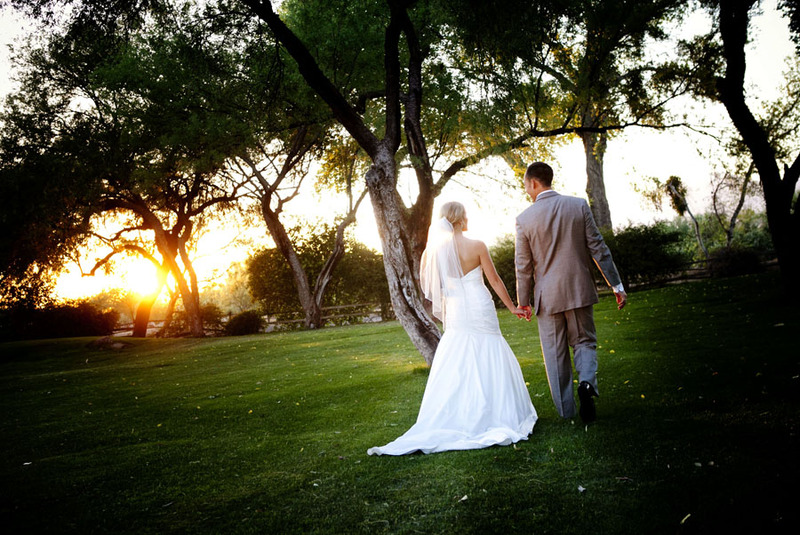 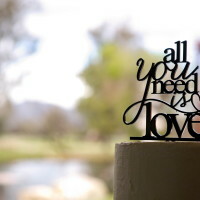 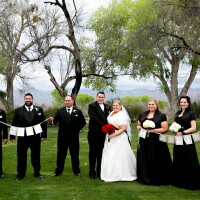 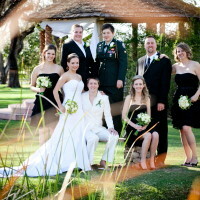 La Mariposa wedding venue is elegance on the East side of Tucson. 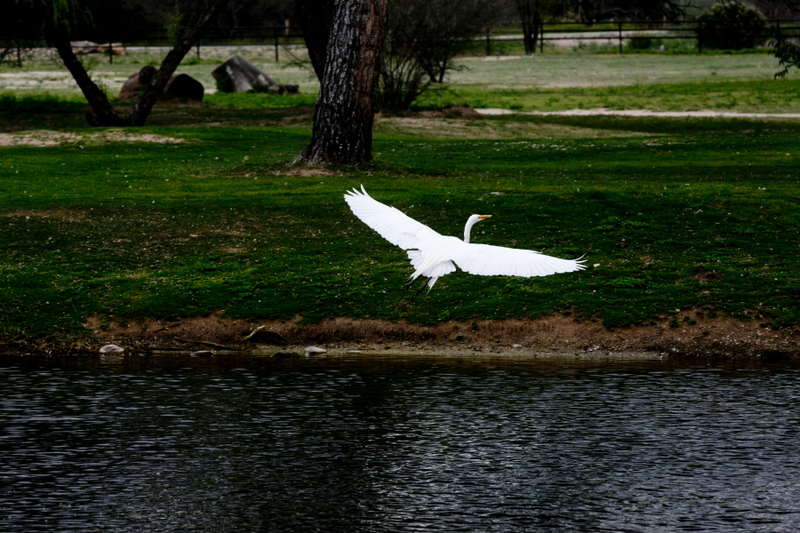 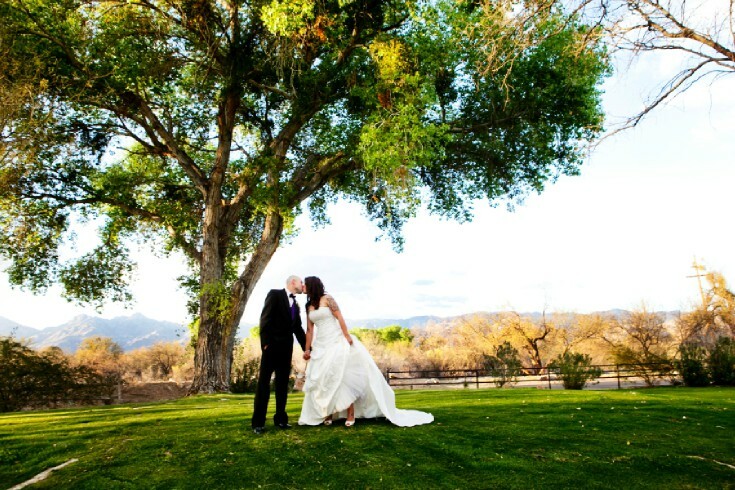 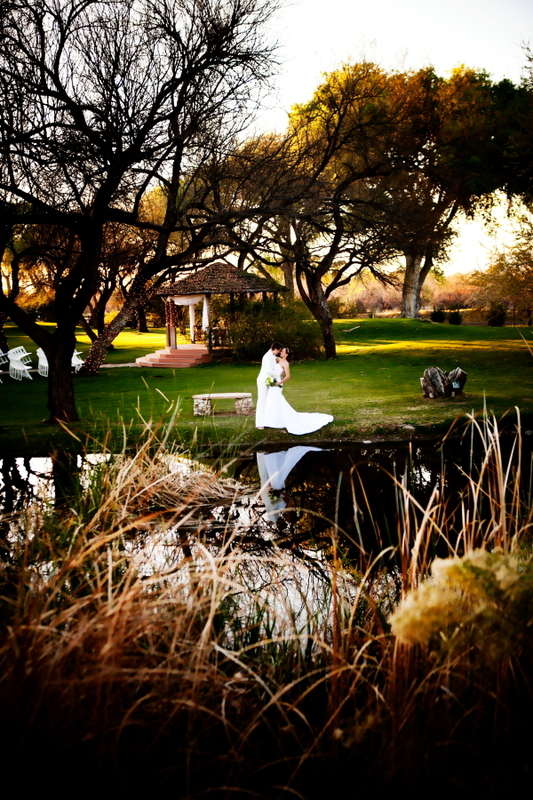 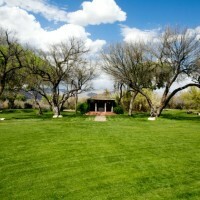 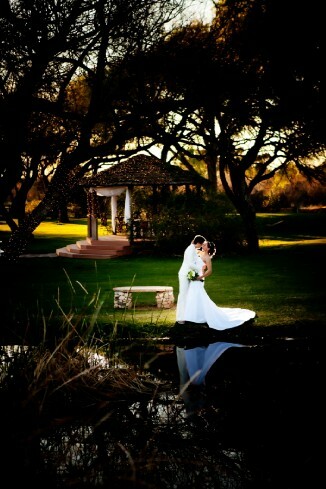 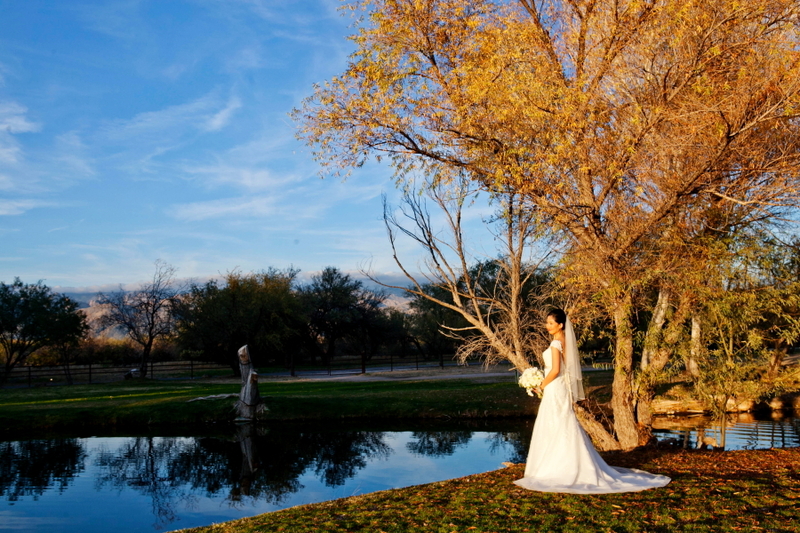 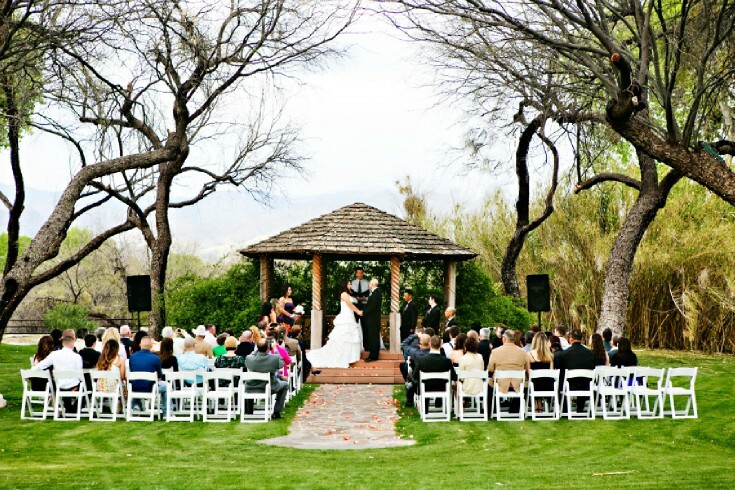 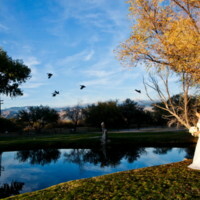 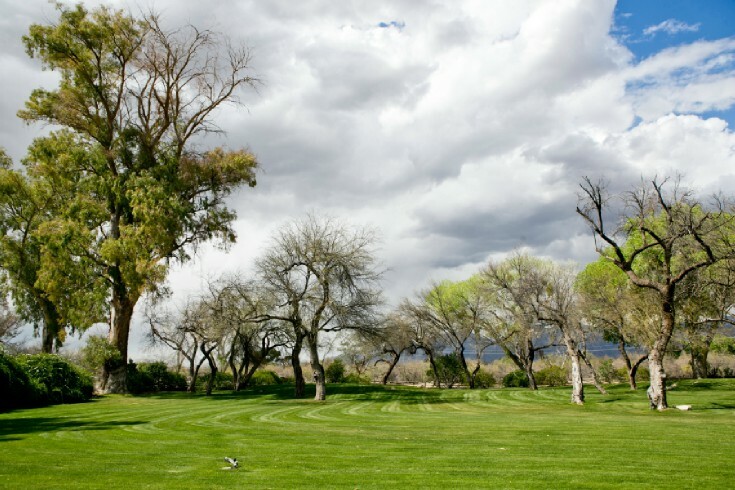 If you want green grass, tall trees in a mesquite grove and a quaint pond instead of the desert for your wedding then La Mariposa is for you. 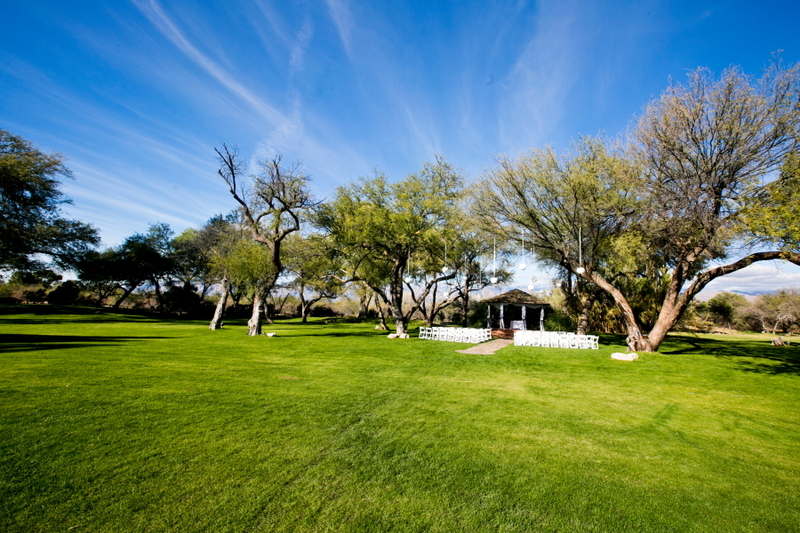 Their lush green grass is beautifully kept all year long. 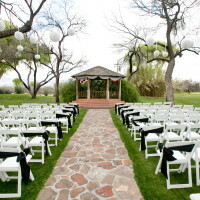 It does not matter if you are getting married in the summer, winter, spring or fall, this wedding venue is always beautiful and perfect. 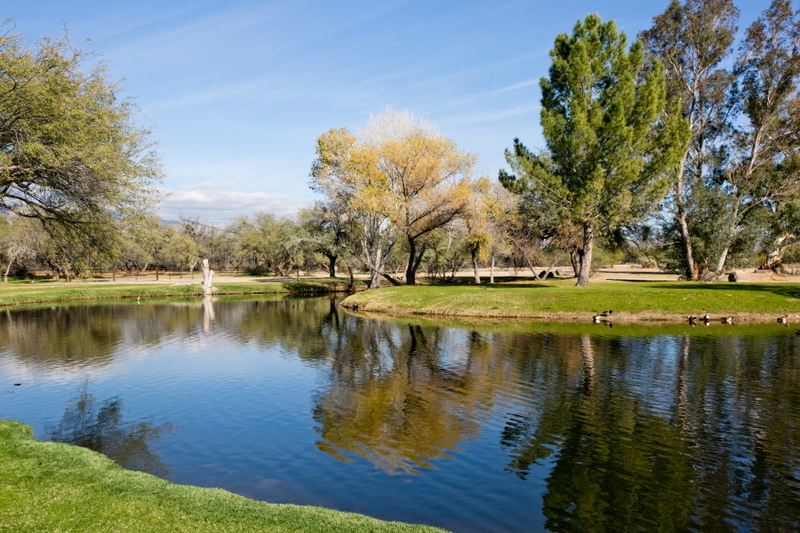 The pond is always visited by ducks and adds to the quaint manicured garden setting. 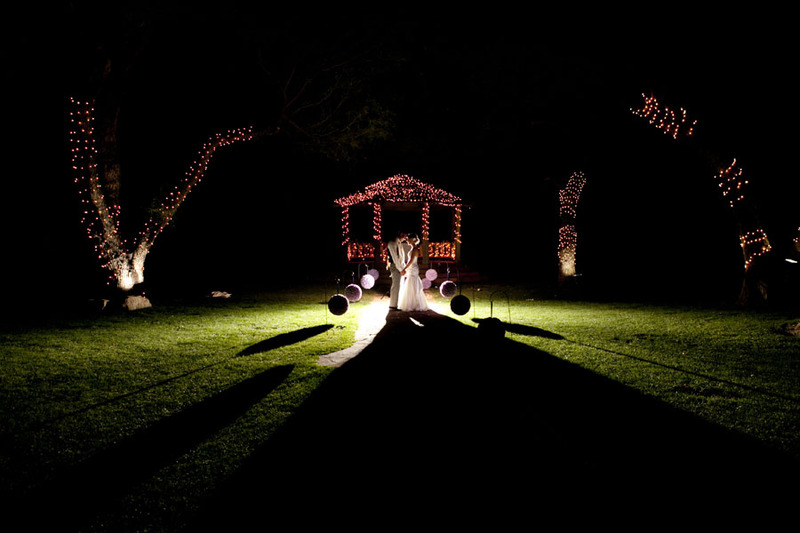 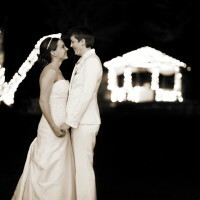 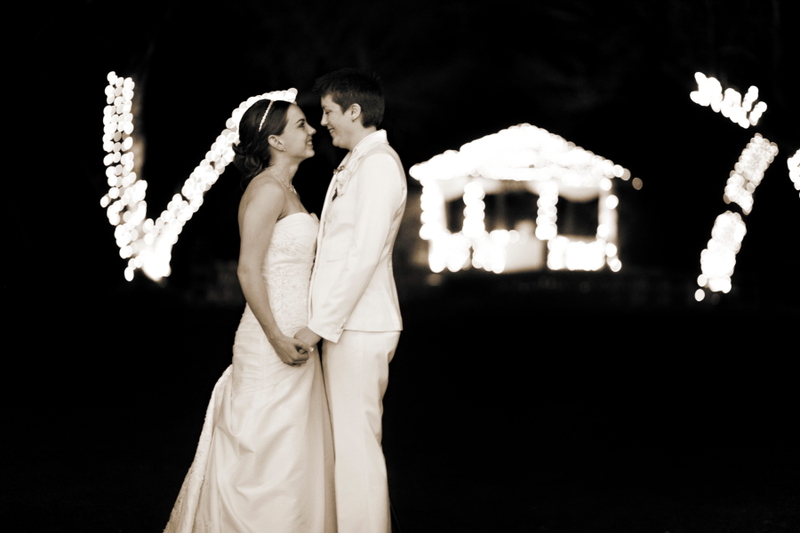 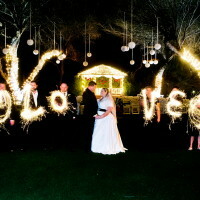 Something Blue Photography also loves their night time twinkly lights on the gazebo and the fire pit for guests to hang out around in the evening. 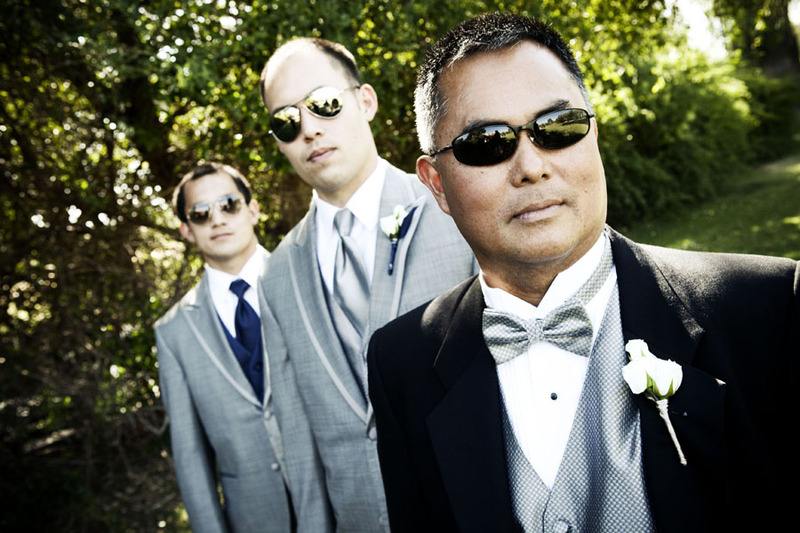 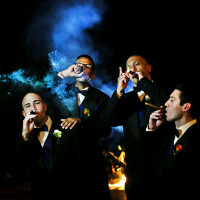 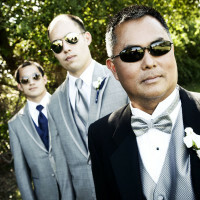 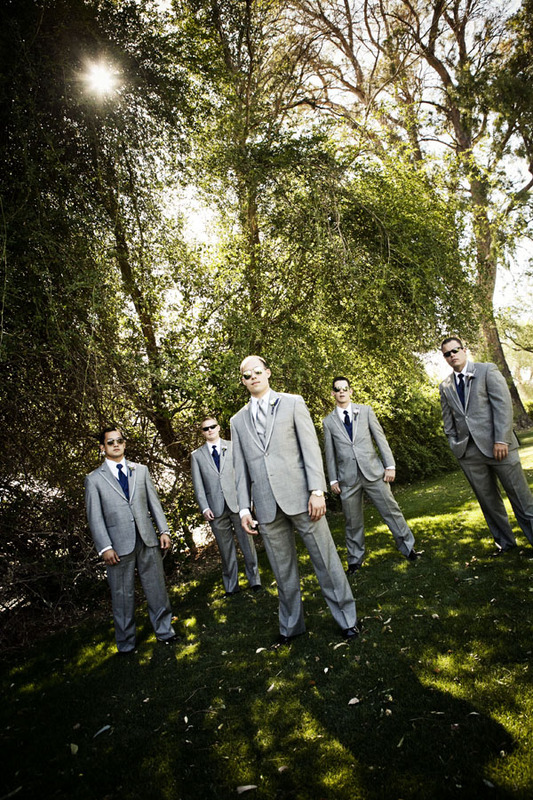 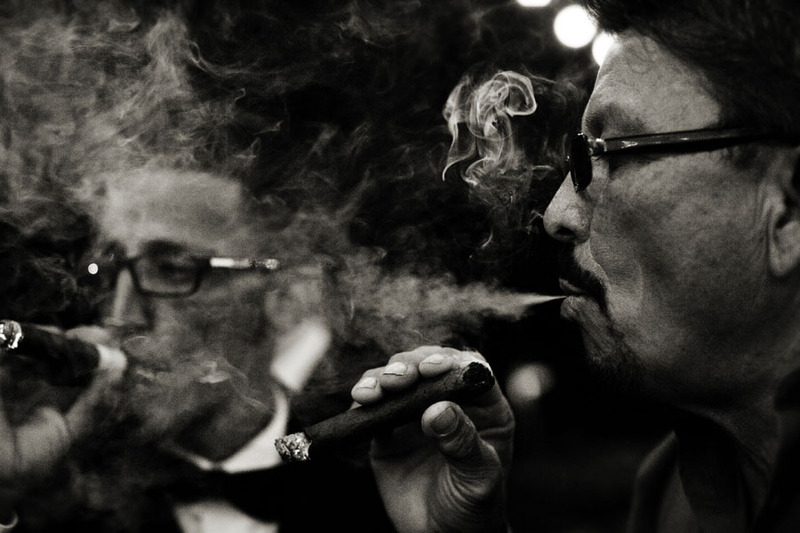 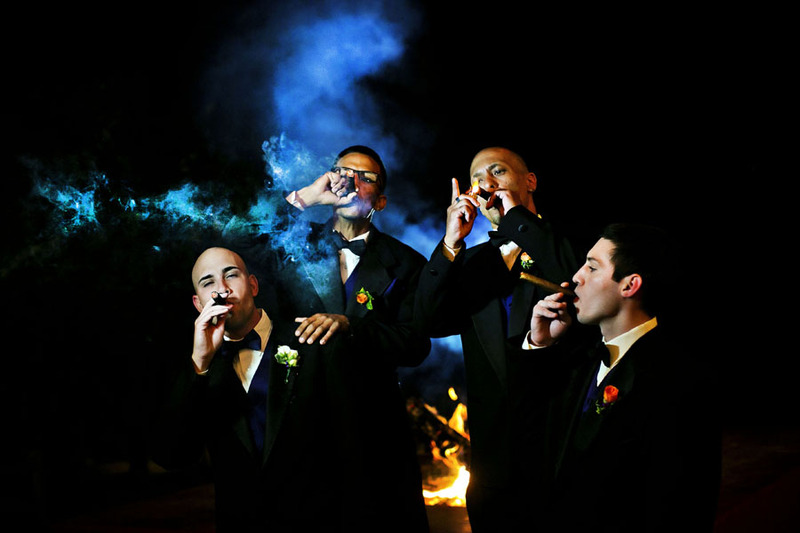 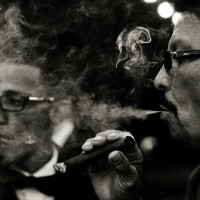 Cigar photographs of the groom and groomsmen is a must with the smoke of the fire pit behind them. 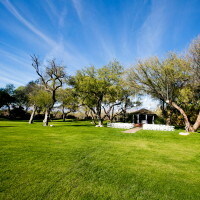 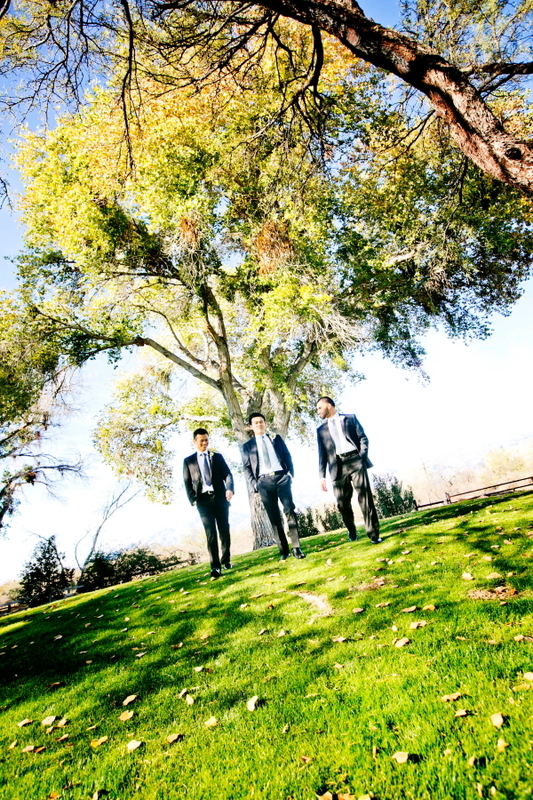 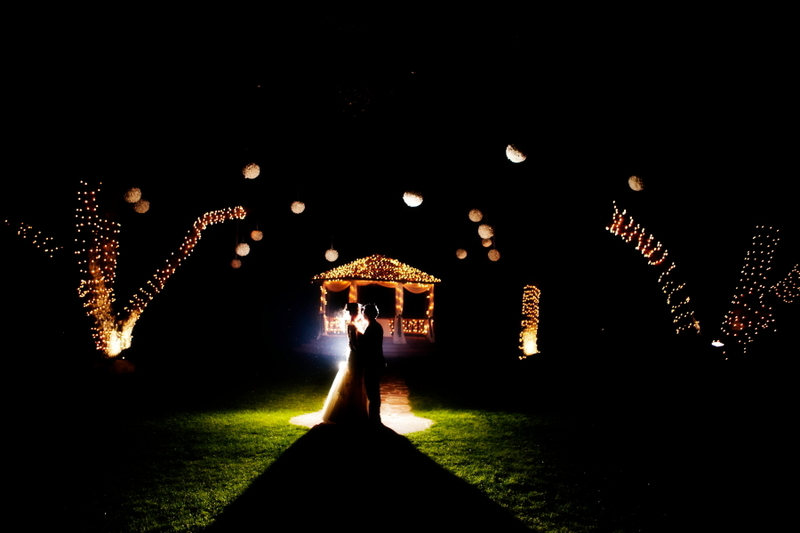 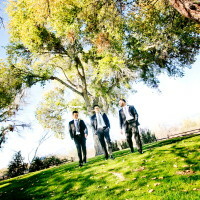 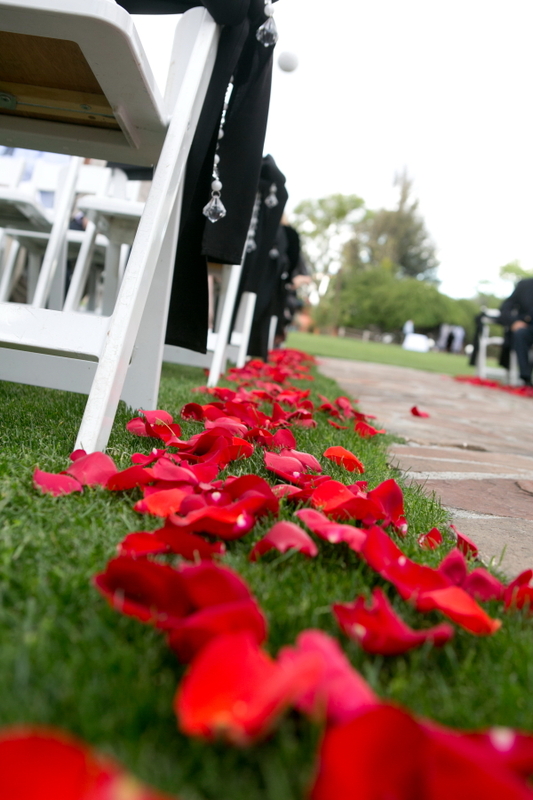 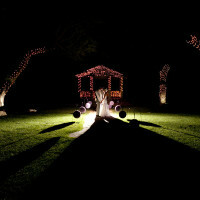 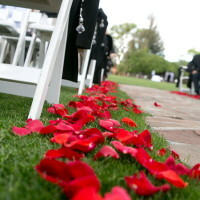 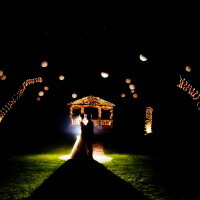 La Mariposa wedding appears wide open as the grass and trees give the illusion of distance and grandeur grounds. 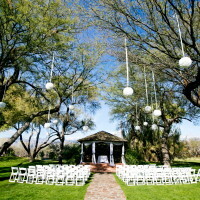 But in fact everything is close to each other and we can quickly get around the grounds for photos with several different views. 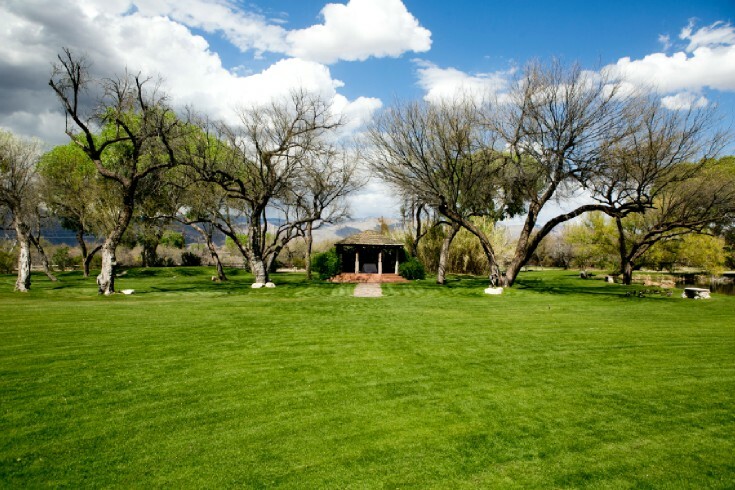 La Mariposa sits in the Tanque Verde Valley. 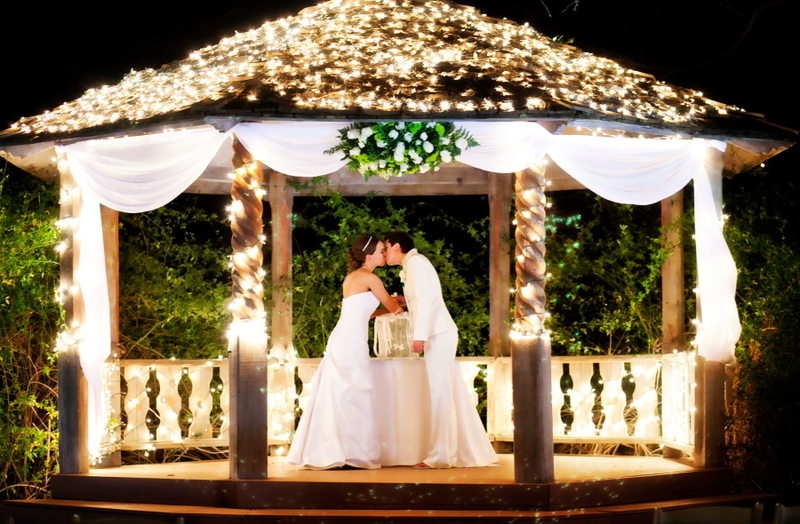 If you like to make an entrance you may opt for the 1930’s New Orleans Horse-Drawn Carriage. 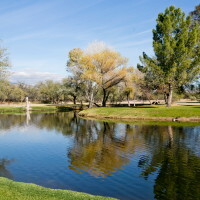 Now that will make it feel like you are not in Tucson anymore. 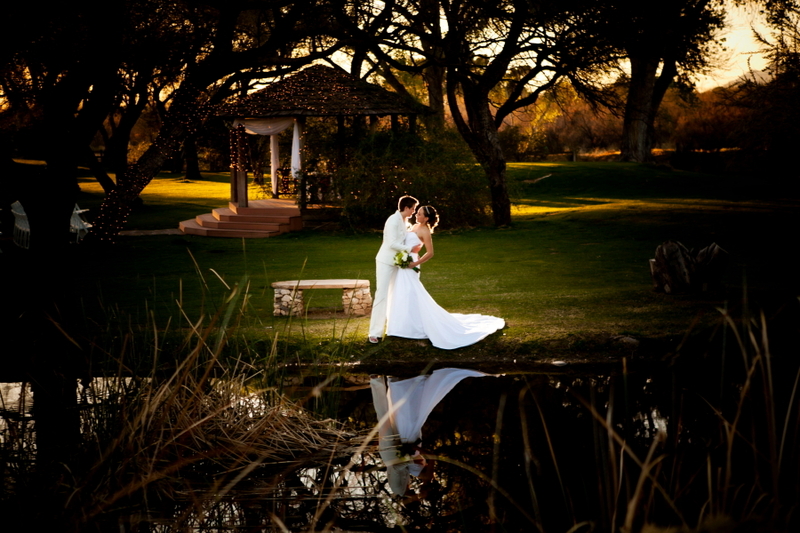 When the carriage takes you on the other side of the pond, there is a reflection on the calm waters. 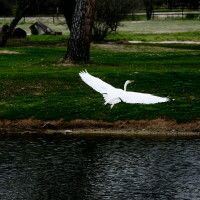 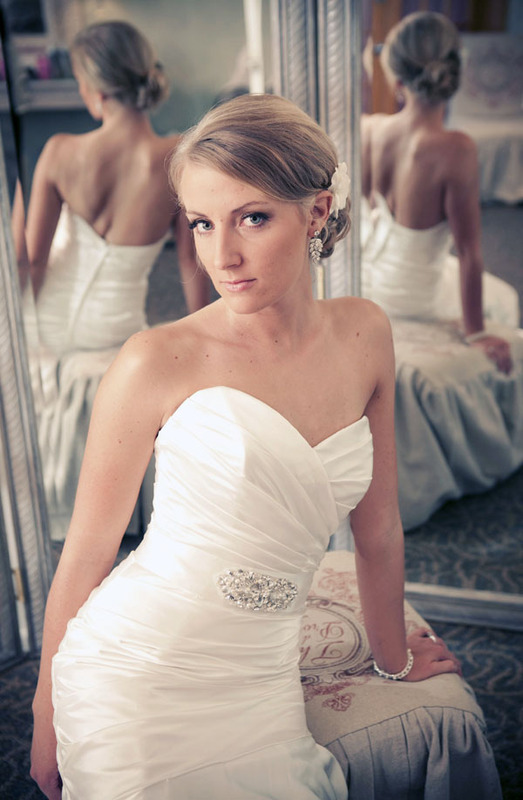 It is breathtaking and would look amazing as a portrait enlarged in your home. 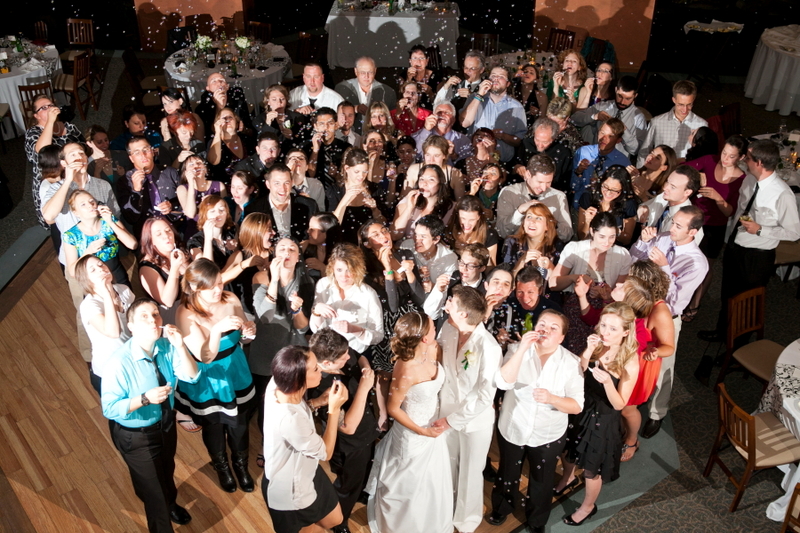 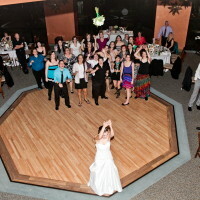 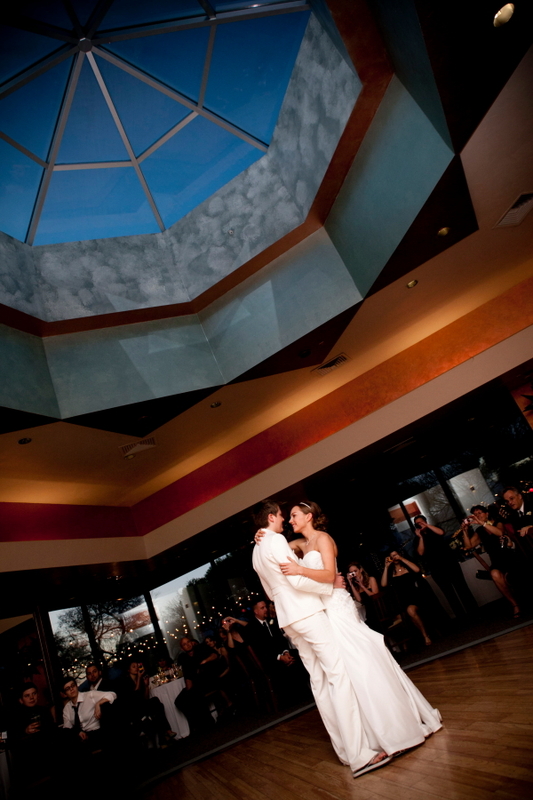 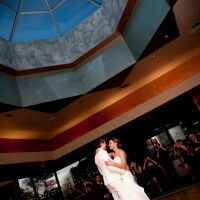 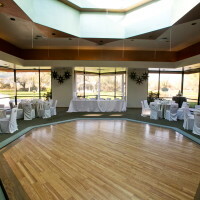 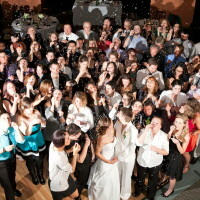 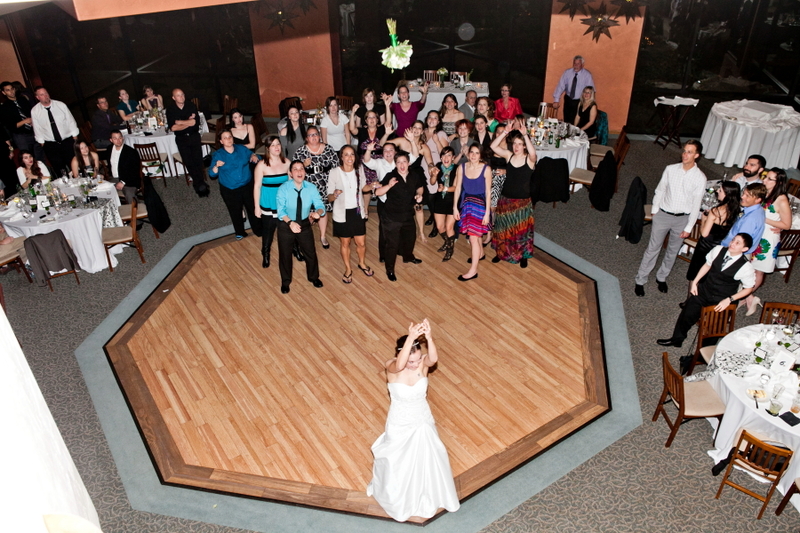 The dome in the center of the dance floor is glass and you can see your reflection in it late into the evening and during your first dance. 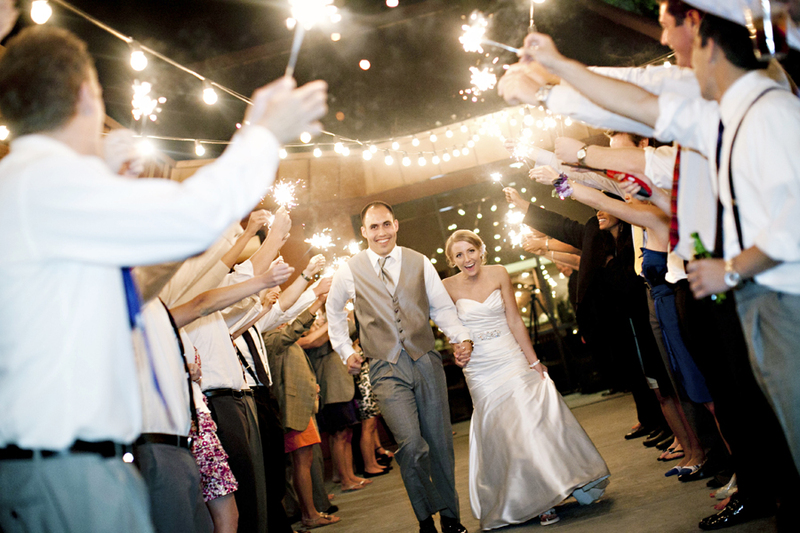 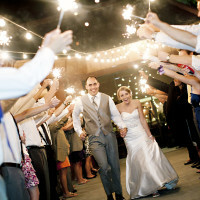 The bride and groom make their entrance into the reception down the cascading stair case. 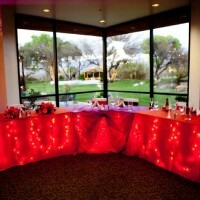 The DJ’s music is blaring and colored lights are shining and the evening is about to be a party.